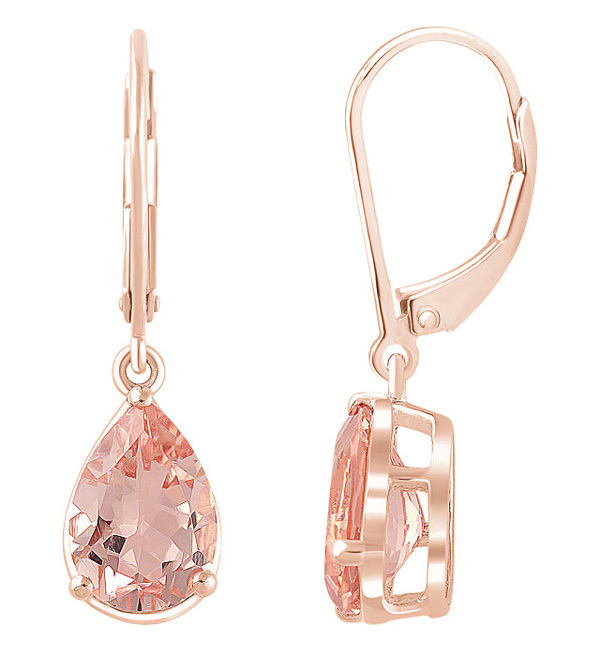 These 1.80 carat leverback Morganite earrings in 14K rose gold from Apples of Gold Jewelry combine a beautiful pink color gold and stunning, soft pink authentic Morganite gemstones to create a soft and sweet look. The earrings, which feature leverback closures, have overall dimensions of 1 1/8 inch tall by 5/16 inch wide. Each genuine pear-shaped morganite gemstone measures 10mm by 7mm in size, and each stone is 0.90 carats, totaling 1.80 carats for both earrings. These earrings are perfect for wear all the time, and are a great way to remind that special someone how much you love them. 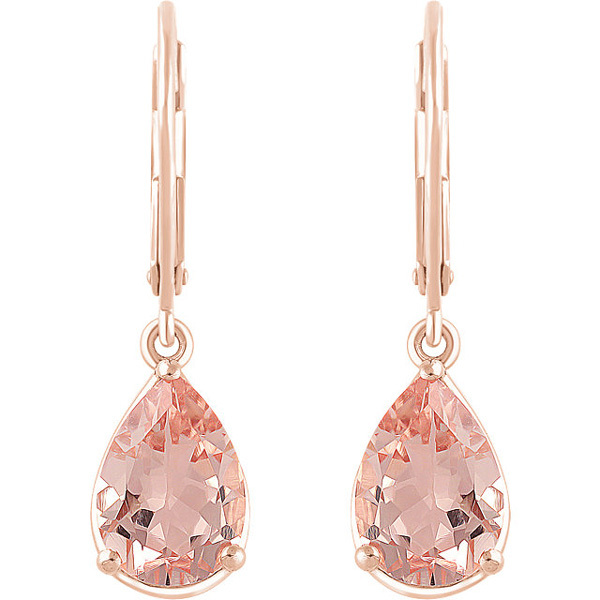 We guarantee our 1.80 Carat Leverback Morganite Earrings, 14K Rose Gold to be high quality, authentic jewelry, as described above.